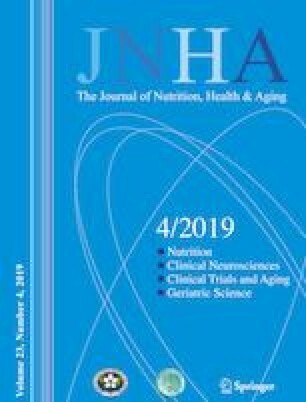 This study aimed to examine the associations of three operational definitions of vitality with variation in instrumental activities of daily living (IADL) and frailty over a 3-year follow-up among non-demented, community-dwelling elderly. 1,679 elderly >70y (64.7% female) participants of the Multidomain Alzheimer Preventive Trial (MAPT). Vitality was defined as a psychological concept using three items from the Geriatric Depression Scale; as a physical construct using the highest quartile for hand grip strength; and as global physiological reservoir using a combination of good physical and cognitive functions. Variables were assessed at baseline, 6, 12, 24 and 36 months of follow-up. Prevalence of high vitality at baseline was 57.1%, 28.5% and 21.6% for psychological, physical, and physiological reservoir, respectively. People with high vitality presented higher IADL scores compared to people with low vitality for all definitions. Analysis from the mixed-effect model found no differences between vitality groups for IADL performance across all definitions. IADL scores improved among subjects with high vitality over time, independent on the definition; while no significant variation was observed among those with low vitality. Participants with low vitality presented 2.0 to 6.1 higher odds of having more frailty components over time (p<0.0001). High vitality defined as a concept related to psychological, physical, or physiological reservoir constructs were positively associated with better IADL performance and with reduced likelihood of frailty worsening over time. members are listed at the end of the manuscript. Supplementary material is available for this article at https://doi.org/10.1007/s12603-019-1175-0 and is accessible for authorized users. Supplementary Table 1. Baseline characterization of participants according to the concept of very high vitality.